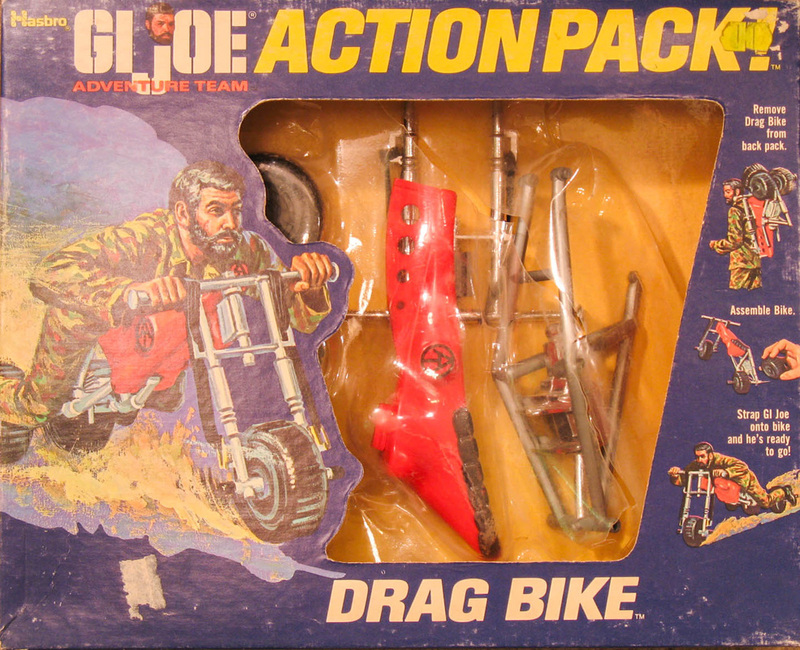 The Drag Bike (7364) is a collapsible speed bike with chopper styling. Like the Escape Car, there is some question why one would carry a self propelled vehicle on one's back. Maybe it was a way to save on fuel. This set was first issued in 1972.